The International 2017 was the seventh annual edition of The International, and third Major Tournament of the 2017 season. Hosted in Seattle for the sixth consecutive year, this year’s edition’s Prizepool culminated at a staggering $24,787,916 with more than $10,000,000 for the winners: Team Liquid. The Chinese squad looked very prepared to counter our draft, with Game 1 exposing the importance of vision in our playstyle. We snatched one back when they allowed GH’s KotL, but iG successfully punished our very greedy draft in Game 3 to knock us down. 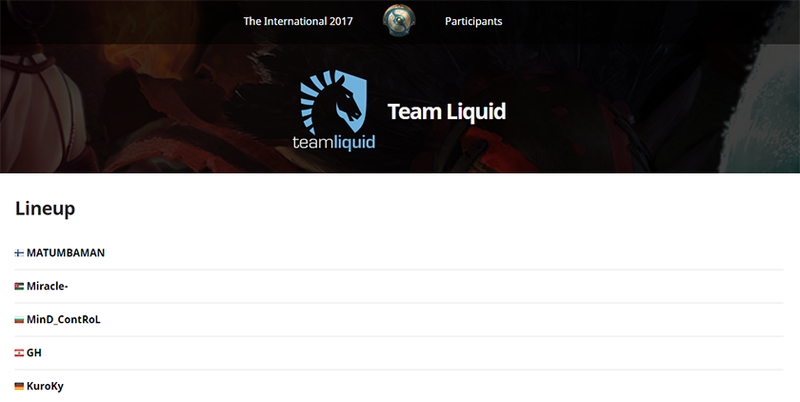 Hence, Team Liquid went down in the Loser Bracket as soon as the Round 2, and had to make their way back to the Grand Finals, a feat never accomplished before. That was no easy task, but they managed to defeat all of their goes until they met with Newbee. The Best-Of 5 match went quite smoothly, with a short (27 minutes) first game, won after a masterful Draft by KuroKy. Game 2 could not have been more different from the first one, with a better Draft for Newbee, but Miracle-‘s Alchemist could not be stopped by the Chinese squad, and the game was a wrap. Finally, Game 3 was probably the most disputed of the series, with both teams struggling to take any significant advantage, but Team Liquid, after an epic Roshan fight, would ultimately take the lead and not let it go until it was over, ending the game, the series and the tournament. Congratulations again to the players and fans (with their epic “Let’s Go Liquid” chant!) for this impressive prowess, and rendez-vous in 2018 for the next Major Tournament of the 2017-2018 Competitive Season! Next Next post: Will you be in Dallas (Quakecon) or Cologne (Gamescom) this week?